Follow Goddis’s main character from his novel Black Friday through Philadelphia step by step. Cherry Lounge on 12th St. and Race St.
Race St. and 11th St.
Spring Garden St. and 10th St.
All of these locations are spots that the main character Hart stopped at in the novel Black Friday. David Goodis used all of them specifically. Frame of Reference: David Goodis was born in Philadelphia in 1917. He lived in Philadelphia for most of his life and attended Temple University for his degree in journalism. Goodis graduated from Temple in 1938. In 1939 Goodis moved to New York City. Soon after that he headed down to Los Angeles until he finally made his return to Philadelphia in 1950. Philadelphia is where Goodis wrote most of his novels. Goodis lived in his parents’ home carring for his brother Herbert until Goodis’s death. Goodis passed away on January 7, 1967 shortly after being severely beaten in a robbery. Goodis left behind novels that capture the skid row aspects of Philadelphia and take the reader on a journey through the streets where he lived. Significance: David Goodis is one of the best noir writers of all time. Goodis created pieces of work that capture realism and show skid row Philadelphia. Goodis is growingly becoming synonymous with Philadelphia. Black Friday captures the noir style and the city of Philadelphia. It is possible that Black Friday can be directly related to David Goodis’s biography. The character Hart seems to mirror Goodis himself. About the Site: There are some things you should know about the site. None of these sites are officially associated with Goodis. The townhouses in Germantown are similar to the one David Goodis grew up in. The bar that Hart sat at is the same one David Goodis drank at. All of these spots were put in for a reason and have a connection to David Goodis that we might not fully understand. These sites aren’t spots that you would find on a Goodis tour; however you can learn a great deal about Goodis through this adventure. Further Reading/Information: David Goodis is celebrated every January at Noircon in Philly. 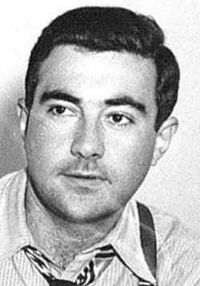 David Goodis and His Work: Retreat from Oblivion (1939), Dark Passage (1946), Nightfall (1947), Behold this Woman (1947), Of Missing Persons (1950), Cassidy’s Girl (1951), Of Tender Sin (1952), Street of the Lost (1952), The Burglar (1953), The Moon in the Gutter (1953), Street of No Return (1954), The Blonde on the Street Corner (1954), The Wounded and the Slain (1955), Down There (1956), Fire in the Flesh (1957), Night Squad (1961), Somebody’s Done For (1967), Film Work: The Unfaithful (1947), Dark Passage (1947), Nightfall (1957), The Burglar (1957), Shoot the Piano Player (1960), Le Casse (1971), And Hope to Die (1972), The Moon in the Gutter (1983), Descent into Hell (1986), Street of No Return (1989).